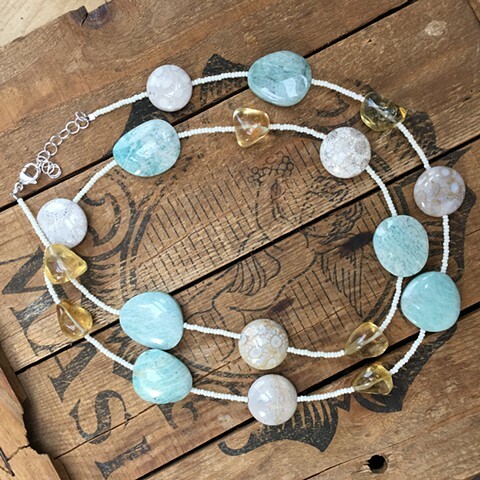 Soft and calming amazonite and citrine with cream tones seed beads. Approx 30" with 2" sterling extender chain. Sterling lobster claw closure.